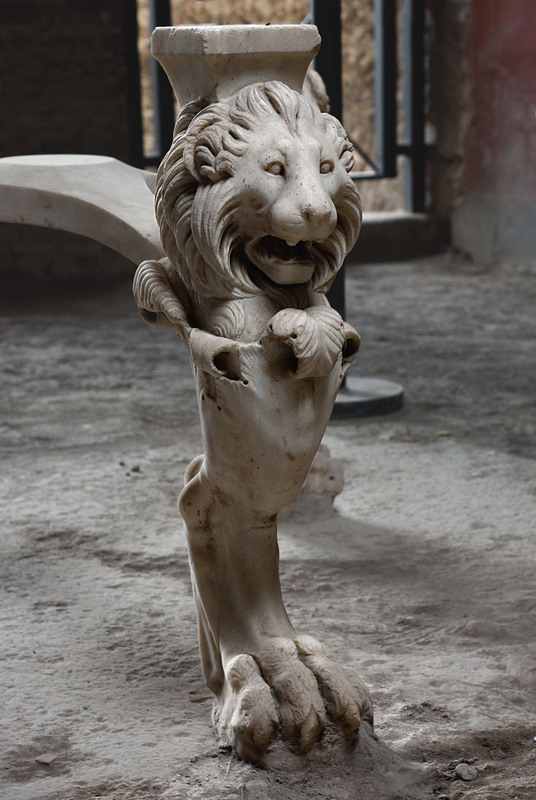 Tripod base of a table with lion heads and paws (trapezophorum). A close-up. Excavations in the garden of I. 6. 8—9. Later was installed in I. 6. 11.